Install EN-50098 installer (2) and a NEW power steering pump belt (1) to water pump pulley and power steering pump pulley. Turn the engine slowly clockwise at the crankshaft balancer bolt. 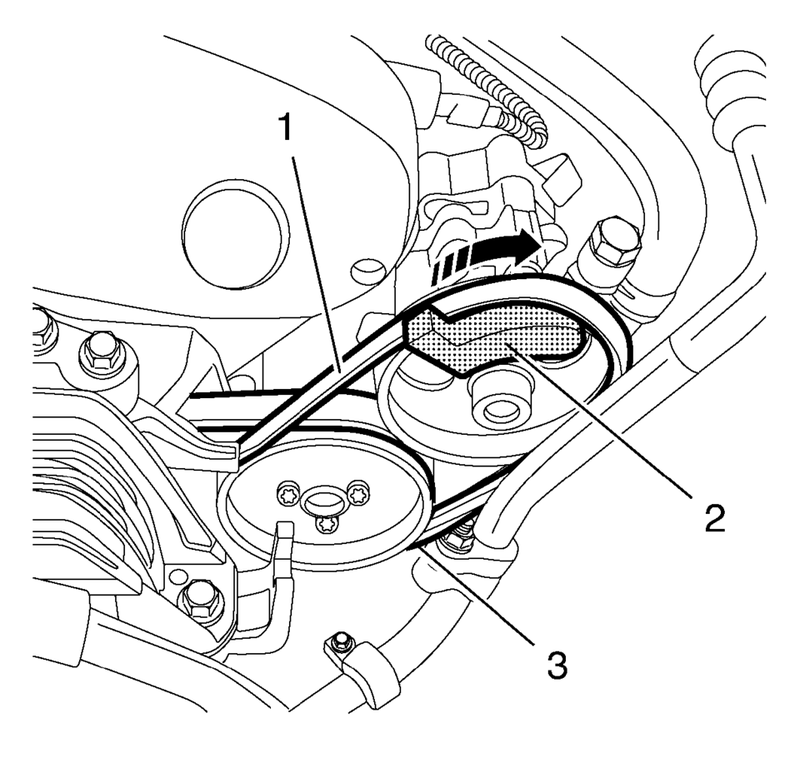 During turn the engine take care of the proper installation of the power steering pump belt to the water pump pulley (3). Remove the EN-50098 installer (2). Check the power steering pump belt is installed clearly.